MLB beat writer Bill Ladson doesn’t do mailbags that often, and when he does sometimes his answers are arguable. Here’s his 10/3/11 edition. 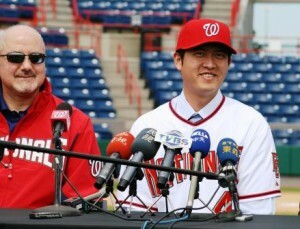 Q: Do you think Davey Johnson will return as manager of the Nationals in 2012? A: Yes; there’s no reason to replace him at this point and the team finished the year strong. Ladson says he’s coming back. Q: Are the Nationals thinking about moving Ian Desmond to center field, Danny Espinosa to shortstop and Stephen Lombardozzi to second? They always say that shortstops are the best skilled players. I think they will get the center fielder they need and improve their infield defense. A: (the same question was posed in Boswell’s chat on monday): I don’t think Desmond helps the team in Center. You need more production out of center fielders. If Desmond can’t cut it for this team at Short, we’ll trade him and put Espinosa there. Lombardozzi hasn’t shown me that he’s anything more than a Brian Bixler-utility guy, and the team may bide its time until Anthony Rendon is ready. Ladson reminds us how much the team, and Johnson, likes Desmond. Q: If the Nationals are looking for a center fielder, why not Carlos Beltran, even though he is aging and has been hurt in the past? 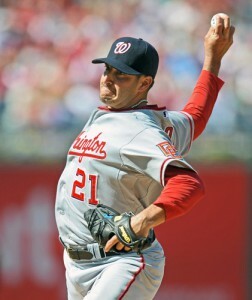 He seems to fit all of the Nationals’ needs and is a good veteran presence for some of the young players. A: Three primary reasons: Beltran isn’t a center fielder anymore. He’s now a corner outfielder at this point in his career. Plus I think you’d be overpaying for a contract year. Lastly, he’s a type-A free agent, meaning it would cost us your #16 overall pick. Ladson points out that he’s a corner outfielder. He’d be for a one-year deal, that’s it. Q: Stephen Strasburg, Jordan Zimmermann and John Lannan are locks for next year’s rotation. Considering Mike Rizzo would like to acquire a veteran starter, that would mean that Chien-Ming Wang (if re-signed), Ross Detwiler, Brad Peacock, Tom Milone and the other Minor Leaguers will all be fighting for one spot? A: This seems like the current situation, yes. However, I would not be surprised to see some of this starter depth flipped for a plus defender that we can put out in leadoff/center field. Lannan could be trade bait (though I think we’d struggle to get enough for him to match how this team values him). Wang is no sure thing to re-sign. Detwiler pretty much HAS to make the team in 2012, so you may have your rotation already stated. Ladson just says generically that you can never have enough depth. Q: I think Chris Marrero has proven in a short time that he is a Major League hitter. What role, if any, do you think he will have with the team next season? A: Good question: he hit well, but doesn’t seem to have the power you need to man the First Base position in the majors. Its tough to take a .300 hitter out of the lineup though. Of course, he wasn’t a .300 hitter by the end of the season (final slash line: .248/.274/.294); a 5-game slide to end the season cost him 40 batting average points. Marrero’s problem is a lack of power. His slugging percentage wasn’t even at .300; it needs to be closer to .500 to play first base. 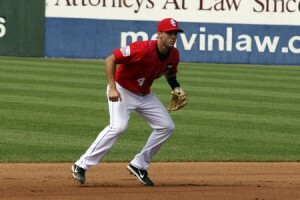 I think he starts 2012 back in AAA, waiting for an injury or slow Adam LaRoche start to get a call-back. Ladson predicts trade chip or 2012 bench player. Q: Since being sent to the bullpen, Tom Gorzelanny has done a pretty decent job. 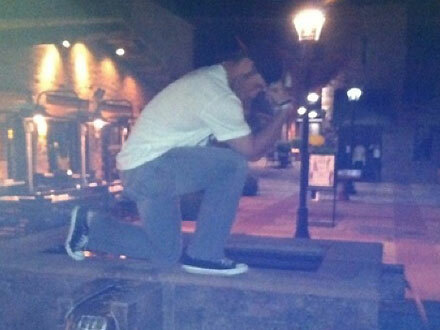 Do you see him back in the bullpen next year? A: Yes you bet. 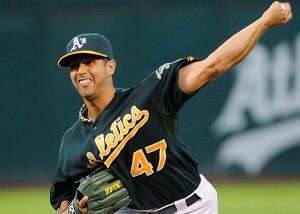 Gorzelanny’s bullpen split for 2011 was great; 2.42 era in 15 games. He immediately takes over the primary long-man/spot-starter role and features as a middle reliever as needed. He’s just the kind of guy that Davey Johnson likes in the pen. Ladson agrees. Q: You have reported that the Nats’ front office isn’t sold on outfielder Roger Bernadina. Please explain how Werth, Jonny Gomes and Brian Bixler are improvements. A: At least Werth provides enough power and OBP to pull his OPS+ value up to nearly 100 in a season where he struggled mightily. Bernadina doesn’t get on base nearly as much and doesn’t slug as much, meaning on average he’s about 20% less valuable a hitter than a MLB average player. And he’s done this consistently across 1000+ at bats at the major league level. Gomes is not an improvement; he was a mid-season bench augmentation who probably gets non-tendered in November. Meanwhile, Bixler is not an apples-to-apples comparison. 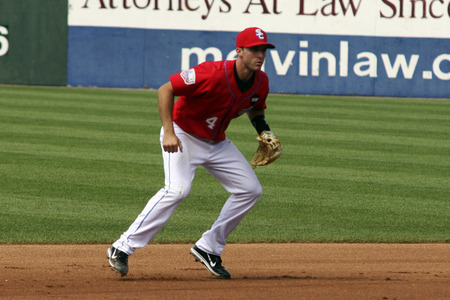 Teams need utility infielders to provide cover at 2nd, short and 3rd. Bernadina is a backup outfielder who can be replaced, and is replaceable. I’m not sold on Bernadina either; he’s had plenty of chances and i doubt he’s part of the organization in 2012. Ladson says he never said these three guys were replacements for Bernadina, but thinks that Gomes and Bixler are not with the team in 2012. Q: Despite his inconsistency, Hernandez definitely shows that he wants to stay with the Nationals and brings so much to the clubhouse. He is even willing to become a long reliever. With that in mind, do you think he’ll be re-signed? A: Good question. Initially I thought he’d be resigned as a valuable and cheap middle relief/spot starter guy. But now i’m worried there’s not going to be room for the guy in the bullpen. 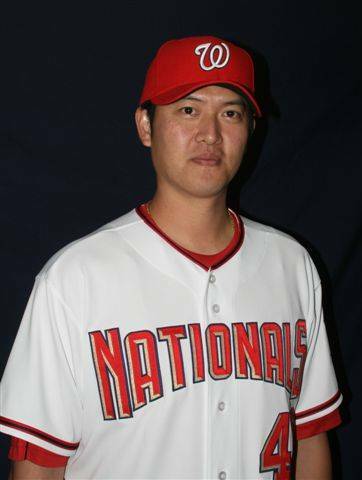 I think our 2012 bullpen starts with Storen, Clippard, Burnett, Mattheus, HRodriguez, Gorzelanny as near locks. The 7th guy could be a FA signing, or perhaps Peacock or even Stammen. Livan needs too long to warm up to really be useful in the bullpen. Sorry to say; i think we part ways. Ladson says that Gorzelanny is the “swingman” and that the team won’t need two. Fair enough.